Hi, Cassie from The Veda House here! I was excited when Danielle asked me to guest blog for her while she was out in New Jersey for vacation. I saw this as an opportunity to share a relatively easy DIY project that even a busy mama can try. 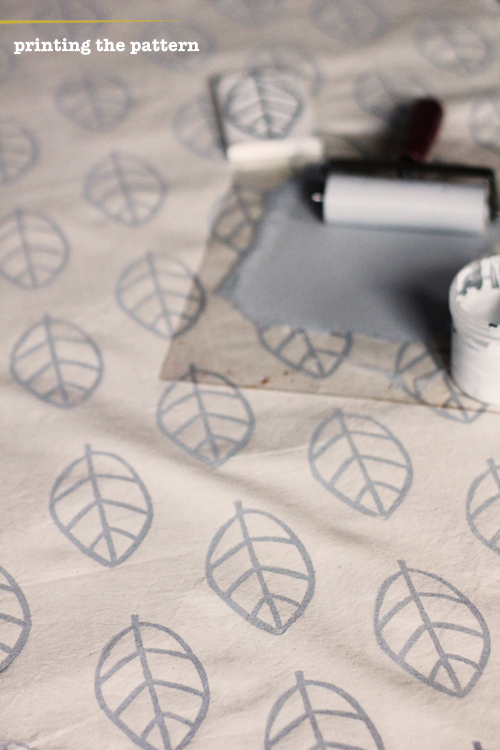 Block printing on fabric can be as simple or as complicated as you make it. I'd suggest sticking with a simple design for newbies and working you're way up as your comfort level grows. You can use any kind of fabric you'd like, but the smoother the better. Once your done printing, you'll have a totally unique piece of fabric to turn into anything you dream. (seat covers, pillow cases, kitchen napkins, etc) Feel free to email me with questions if you get stuck during the process. There are also a lot of online tutorials out there you can peruse. 1. Draw your design directly onto the linoleum block with a pencil. Using a pencil will allow you to change things up if you choose. Remember, this doesn't need to be perfect. 2. Once you have the design how you want it, outline the design in permanent marker so it is easier to see while you are carving. 4. 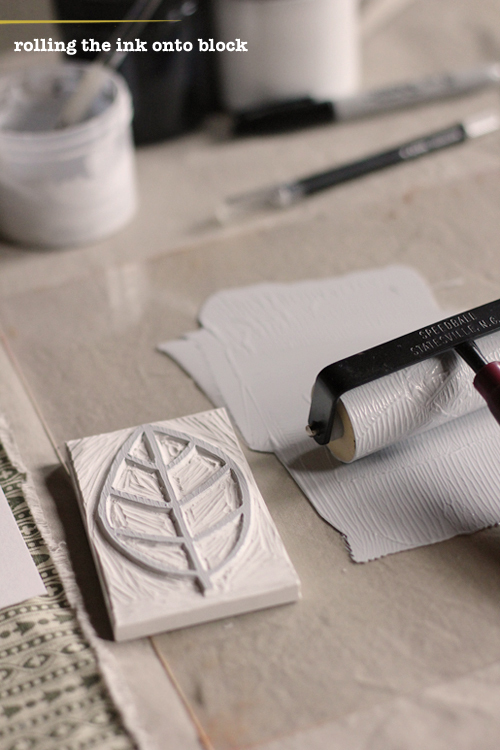 Using a brayer ( or paintbrush), apply fabric ink on your linoleum block. 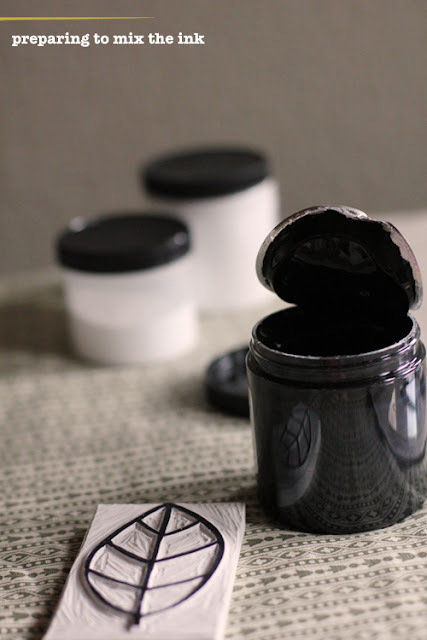 "Ink" up your brayer by rolling it back and forth over the ink in your ink tray. Make sure the entire surface is covered in ink. 5. Stamp the design onto the right side of your fabric by using firm even pressure. (your pattern can be completely random or more geometric) Continue to ink the linoleum block as necessary. 7. 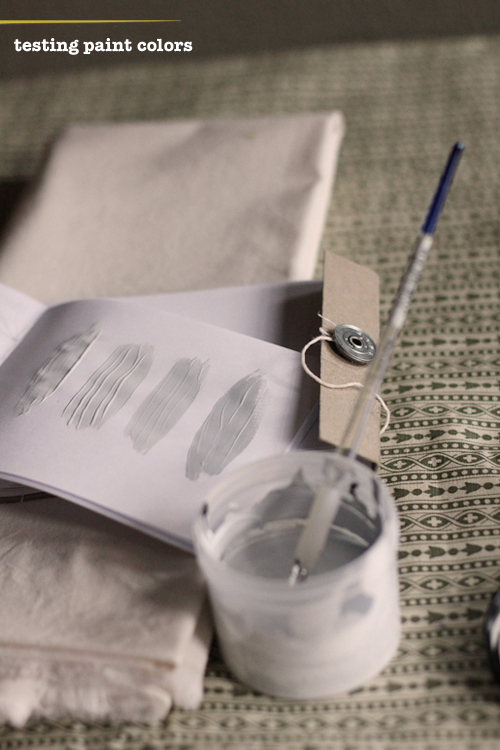 After completely dry, iron your fabric to set the ink in place (follow ink brand instruction). Donzo! 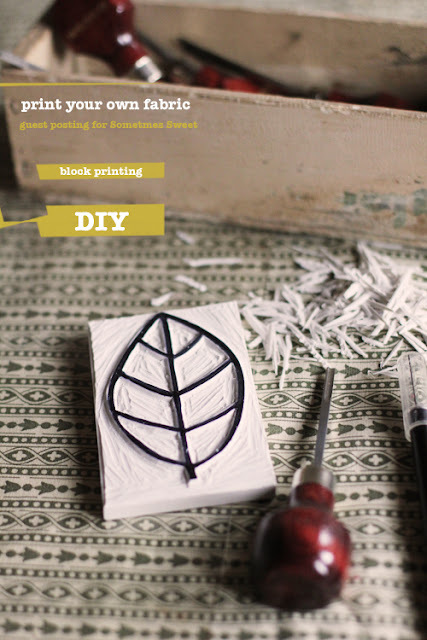 - if you by a linoleum block that is super stiff and hard to cut into, you can iron/warm the block on the iron's lowest setting. - there is no need to carve deep cuts to make it work properly. Carving shallow cuts works just as well. Hooray! I hope you enjoy what you see here. When you have a second or two, stop by my blog to see how I bring hand-mades and vintage into my life! I love block printing! This post totally makes me want to get back into it. What a neat way! I love this. I did several of these in highschool (including a self portrait) and I miss them! They cn be time consuming and a bit frustrating, but the end product is soworth it. Thanks fo sharin this how-to! This method is much easier than others I have seen. I might just have to try it!! Thanks! Simply beautiful printmaking! Love it, Cassie. Great guest post!